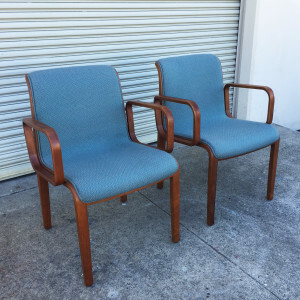 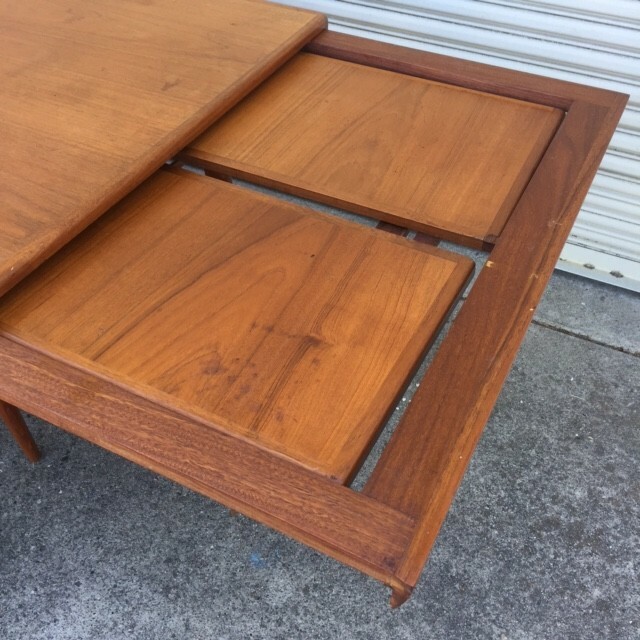 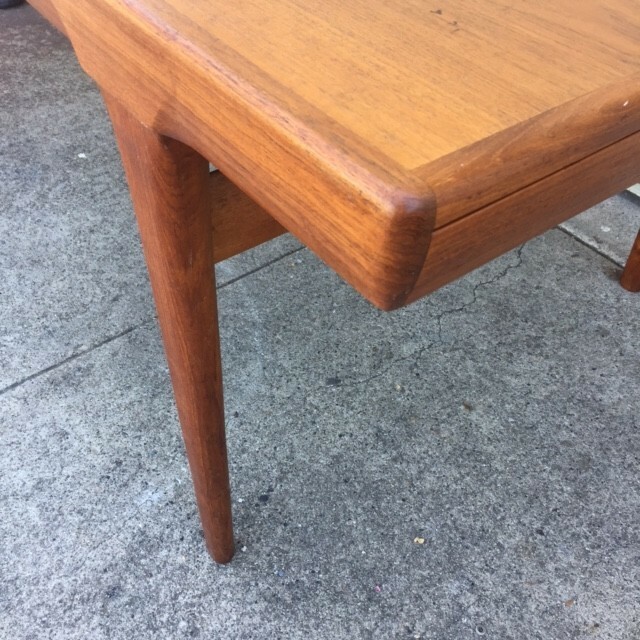 Categories: Mid Century, Storage and Tables. 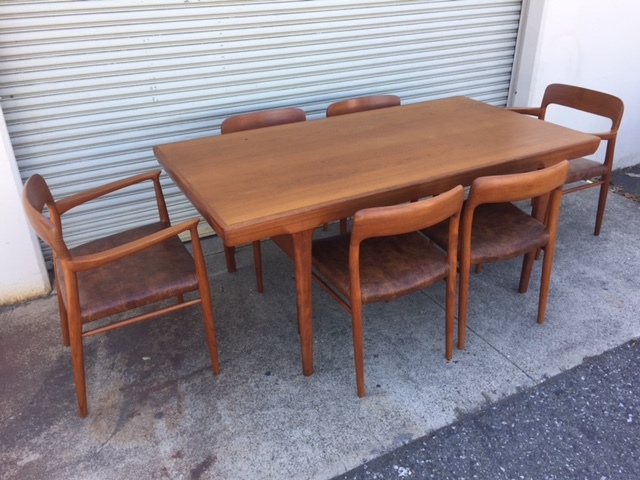 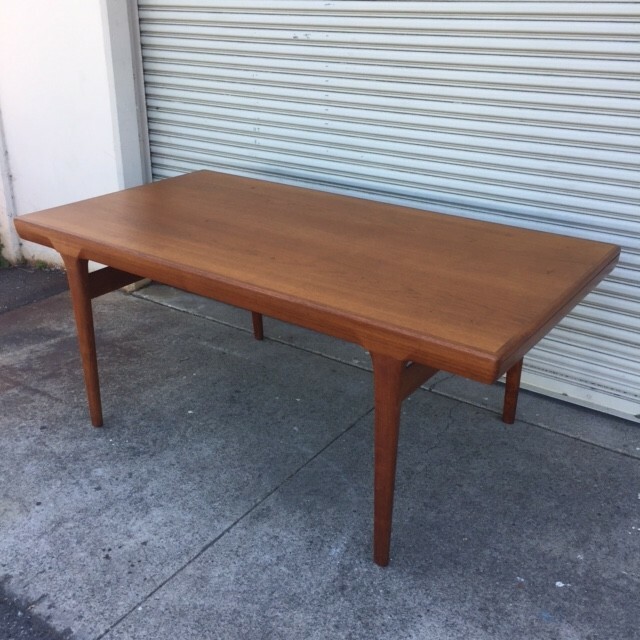 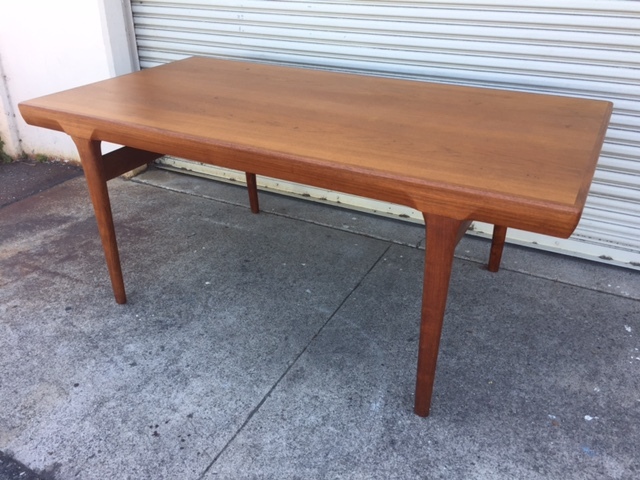 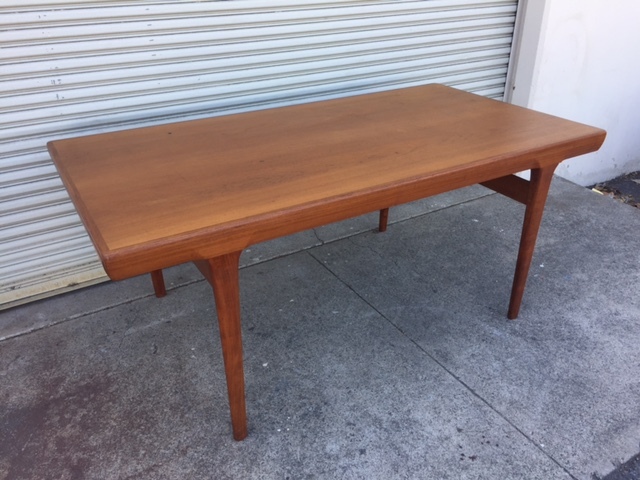 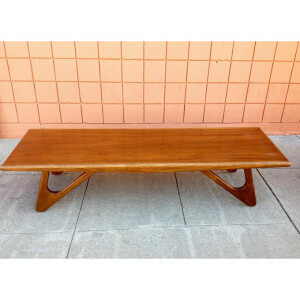 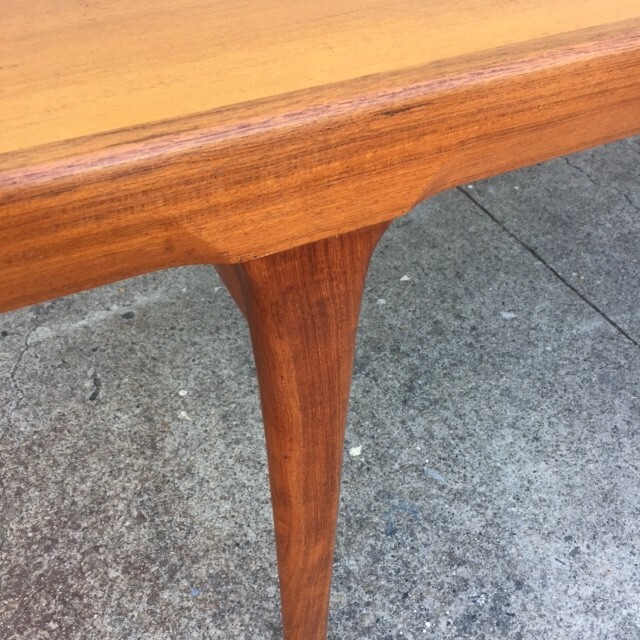 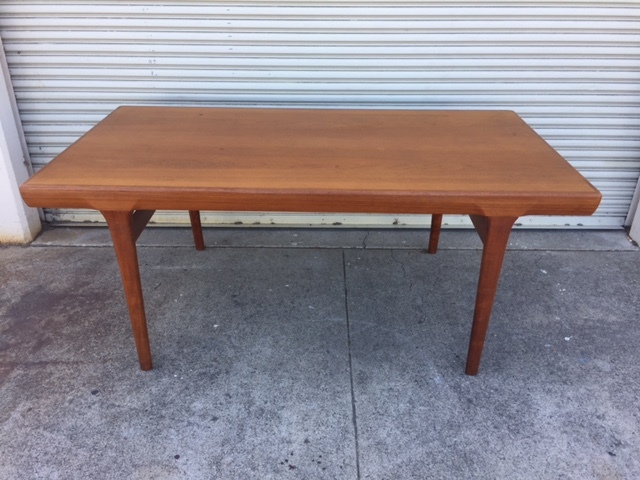 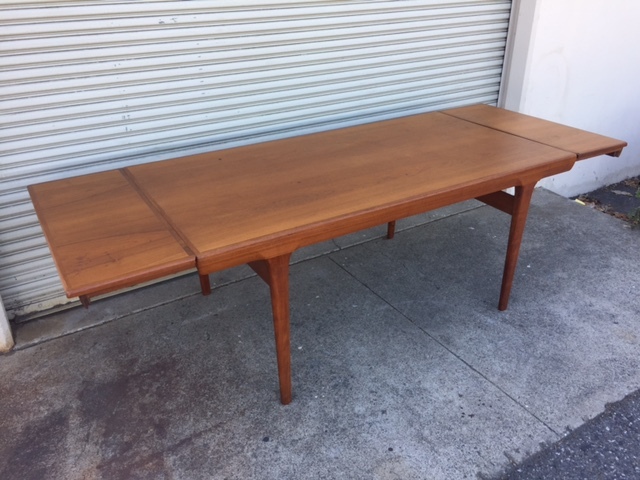 A vintage Danish Modern teak table. 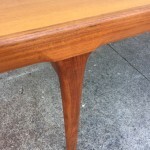 Solid construction with heavy edging and sculpted tapered legs. 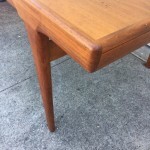 Two 14″ leaves are stored in one side of the table. In very good condition with minor age appropriate markings. 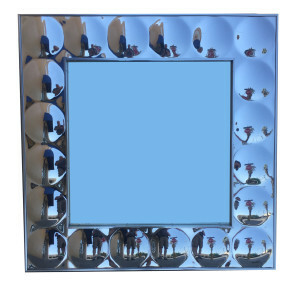 Dimensions 35.5″ wide x 67.5″ long (95.5″ with leaves installed) x 28.5″ high.